Trip around the World - Quilt pattern - King size: 105" x 105"
Beginners can confidently start working on this King Size quilt, it is very simple to make. Simple but very elegant, if you choose the right color combination. Beige, brown and the shades of blue is a winner combo - you cannot go wrong with it. My Pattern guides you through the whole project. 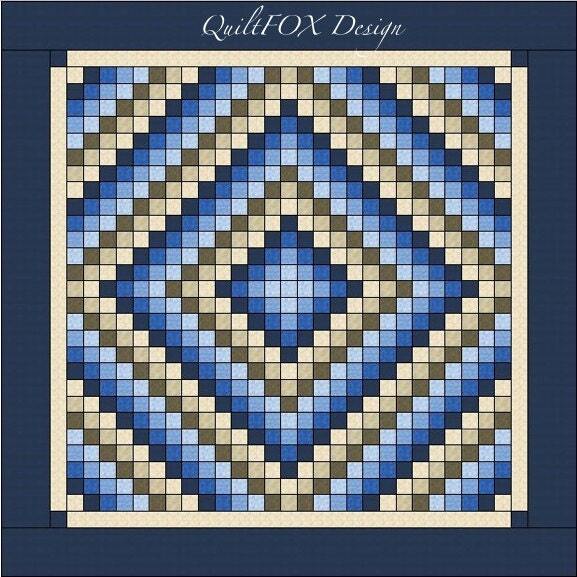 It gives you the yardage calculation, an easy way to piece the quilt and add the borders.